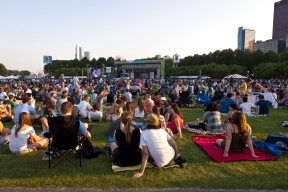 The Taste of Chicago, the popular annual food and music event held in downtown Chicago, will run through Sunday, July 13, 2014. 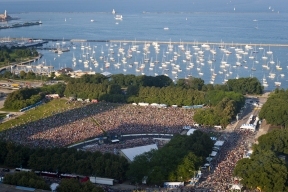 The Chicago Office of Emergency Management and Communications (OEMC) cautions motorists and pedestrians to be aware of Grant Park area street closures, parking restrictions, traffic delays and large crowds attending the Midwest’s premier food festival. New this year, the Taste will be open from 11a.m. to 9p.m., Thursday and Friday; and from 10a.m. to 9p.m. on Saturday and Sunday. OEMC worked with organizers to make the festival an enjoyable and safe experience and will be monitoring the event as weather conditions may change and become more severe with anticipated rainfall towards the end of the week. Due to various street closures and pedestrian traffic, motorists should seek alternate routes to avoid the Grant Park area. Motorists can utilize Lake Shore Drive on the east and State Street on the west to get around the Columbus Drive closure. Public transportation options, as well as added service for the Taste, can be found on the Chicago Transit Authority’s website at www.transitchicago.com. Anyone can subscribe at www.notifychicago.org for this useful tool to keep informed of impactful incidents in the city of Chicago. For more information on Taste of Chicago vendors, concerts and more, see the Department of Cultural Affairs and Special Events’ website at www.cityofchicago.org/dcase. © 1465 Chicago Hispanic Newspaper, Lawndale News, Hispanic Bilingual Newspapers, Su Noticiero Bilingue. All rights reserved. XHTML / CSS Valid.